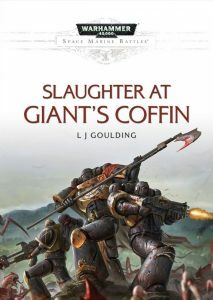 Some of the Space Marine Battles series are great, some less so, but Slaughter at Giant’s Coffin has taken me completely by surprise. This is the first of Laurie Goulding’s material that I have read, and he now has a new fan. I had zero interest in The Scythes of The Emperor before I started this novel. Now I think this chapter is pretty awesome in concept. Don’t let the series fool you. This book isn’t just a running combat, but contains mystery and intrigue as well. If you have liked some of this series (Battle of the Fang, Rynn’s World, Helsreach, Death of Integrity are some of the best in my opinion), I highly recommend picking this up as soon as possible. It’s now on that list.